Let's Go Dancin' Baby ! Yee-Haw Ya'll...... 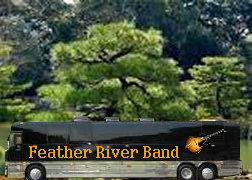 The "Feather River Band" is coming ! *** Indicates date(s) are on a hold pending deposit /contract. Date(s) may still be available. Please check back or call us. Thank you! Now Booking 2018 Season ! 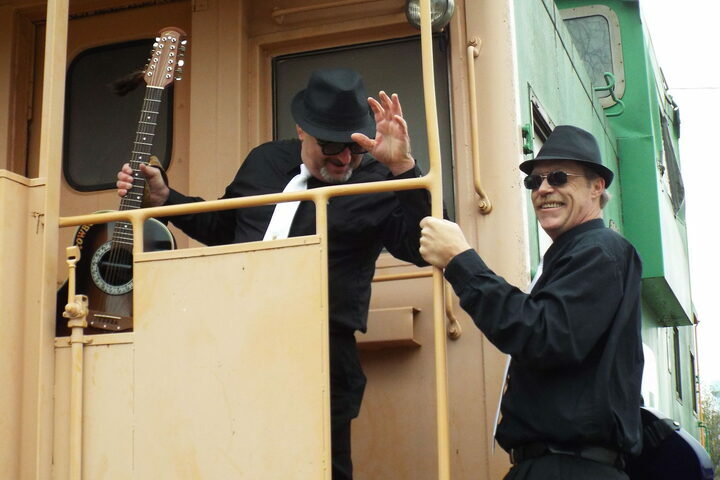 Saturday, March 17th, - Sunshine RV Resort Parker Dam, California 6:00 pm-10:00 pm. - Prizes and Give-A-Ways. For more information call: Mike or Cheryl @ (760) 663-3098 for reservations and information. Saturday, March 11th - Orangewood Shadows Resort Mesa, AZ. 7:00 pm to 10:00 pm. 3165 University Dr. Prizes and Give-A-Ways and More! For reservations, information or ticket information, Call: (480) 832-1040 Advance Tickets: $7.00 ea. At the door if not sold out: $8.00. Friday, May 5th - Royal Canadian Legion (Branch 97) Oliver, BC. Cinco de Mayo Party Doors open at 4:00 pm. Mexican Dinner starting at 5:30 pm. Music and Dance from 7:00 to 11:00 pm. Prizes and Give-A-Ways and More! Tickets on sale now in the Canteen. $17.00 advance sales and $20.00 at the door. For reservations, information or ticket information, Call: (250) 498-3868 *Watch the Oliver Chronicle for photos and article on the band. *** Date(s) and contract pending: Check back for dates soon. Saturday, November 12th - Moose Lodge 2072 Phoenix, AZ. Dinner Starting at 5:30 pm. Dance from 6:00 pm to 10:00 pm. 2401 South Mountain Ave. Phoenix, AZ. 85042 Prizes and Give-A-Ways and More! For more information or tickets call: Bob Lamgmeyer @: (602) 276-3580. Saturday, December 31st - La Paz County Park, Parker, AZ. New York, New Years Party Music 6 pm to 10 pm 50/50 drawing at 10:00 pm. Finger Foods - 5:00 pm to 6:00 pm. 7350 Riverside Dr., Parker, AZ. 85344 Contact Ray Townsend at the La Paz County Parks Office for information and concert tickets and/or passes: (928) 667-2069 B.Y.O.B., Prizes and Give-A-Ways. Check back for ticket price soon! See YA' All Soon ! 210 N. 17th st. (Special Party - Open to the Public) 8:00 pm to 12:00 am. Drink specials, prizes and much more. Call: Carla at: (605) 763-5016. Gayville, South Dakota. 500 Washington St. Fundraiser for Adam and Sadie McGruder family who lost their house in a fire on January 14th. 4:00 pm - 9:00 pm FREE Tacos from 5:00 pm - 6:00 pm. Dance, Drink Specials, Auction, Give-A-Ways and more! Call Shelly at: (605) 267-2310 for more information. 504 W. 27th St. Sweet Heart Dance, Valentines Day! 8:00 pm to 12:00 am. Dinner starts at 5:30 pm. Members and Guests Only! For more information call: Elks Lodge: (605) 665-3333 or Cindy at: (605) 661-5589. Saturday, March 28th - Irene Rodeo Fundraiser & Dance, Irene South Dakota. Irene Community Center. 120 Clark St. Dinner starting at 5:00 pm. Dance from 8:00 pm to 12:30 am. For More information call: Lisa Rudd at: (605) 595-4178. (American Legion Hall) 107 N. Main St. Singles Dance, Free to everyone couples also welcome. Prime Rib dinner also available $12.99 Dance from 8:00 pm - 12:00 am. For more information call: Barb at: (605) 999-0165. Saturday, May 23rd - "Memorial Weekend" Fleggs River Side Roadhouse in Yankton. B.B.Q. Rib Dinner "Summer Starts Here! Dance from 8:00 pm - 1:00 am. Call Jerry at: (605) 665-9749 for reservations or more information. Sunday, May 24th - "Memorial Weekend" Fleggs River Side Roadhouse in Yankton. B.B.Q. Rib Dinner "Summer Starts Here! Dance from 7:00 pm - 1:00 am. Call Jerry at: (605) 665-9749 for reservations or more information. Dinner starting at 5:30 pm $5.00 Steak Dinner with all the fixins' for Red Badge Tornado Holders. Buckets of beer for everyone $10.00. Music from 6pm to 11 pm. Prized Give-A-Ways and more. 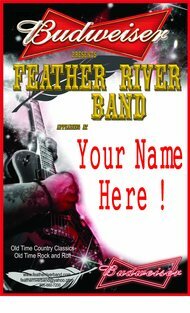 Donation can be made thru the Feather River Band and checks can be made out to: City of Delmont. Call Vanessa for more information: (605) 779-2050. Friday, June 26th- Village Bar, Meadow Grove, NE 118 Main St. 8:30 - 12:30 or ?? Drink Specials, Prizes and more. No cover charge ! 405 E. 4th St. 5:00 pm to 9:00 pm or.... Till we can't dance no more! No Cover Charge! Drink Specials! Call: Jackie at: (605) 489-2388 for more information. Saturday, August 1st, Village Bar, Meadow Grove, NE 118 Main St. 8:30 - 12:30 or ?? Drink Specials, Prizes and more. No cover charge ! Saturday, August 22nd - Hurley Bar, in Hurley South Dakota. No Cover Charge! Call: Tiffany at: (605) 238-2300 for more information. 405 E. 4th St. 5:00 pm to 9:00 pm Till we can't dance no more! No Cover Charge! Drink Specials! Call: Jackie at: (605) 489-2388 for more information. Saturday, September 19th - The Wheel, Canton, SD. 9:00 pm to 2:00 am. 223 E. 5th St. No Cover Charge, Drink Specials, Prizes and Give-A-Ways. Friday, October 9th- Village Bar, Meadow Grove, NE 118 Main St. 8:30 - 12:30 or ?? Drink Specials, Prizes and more. No cover charge ! 405 E. 4th St. 9:00 pm to 1:00 am. Till we can't dance no more! No Cover Charge! Drink Specials! Call: Jackie at: (605) 489-2388 for more information. 6-8 pm Dinner & Wine, Full Bar, Silent Auction, Photography by Wilcoxson Photography. Dance following the auction. Tickets: Advance sale $25.00 For ticket or more information please call: Lesley Smith - (605) 387-5159 Proceeds go to Menno Olivet Care Center. Thursday, December 31st - La Paz County Park, Parker, AZ. New York, New Years Party Music 6 pm to 10 pm 50/50 drawing at 10:00 pm. Pot Luck Dinner - 5:00 pm to 6:00 pm. 7350 Riverside Dr., Parker, AZ. 85344 Contact John Bennett at the La Paz County Parks Office for information and concert tickets and/or passes: (928) 667-2069 B.Y.O.B., Prizes and Give-A-Ways. One show only 9:30 pm to 11:00 pm . Tickets on sale now $25.00 ea. Call: Karry Schmidt at: (605) 660-8621 for more information. Saturday, July 5th - Alcester Bar, in Alcester, South Dakota. 9:00 pm to 1:00 am. No Cover Charge! Call: Barry or Theresa at: (605) 934-2933 for more information. Tuesday, July 8th thru Thursday July 24th - Not Available! Saturday, August 16 - Hurley Bar, in Hurley South Dakota. Friday, August 22nd - Not Available, Private Party, out of town. Saturday, August 23 - Not Available, Private Party / Wedding , out of town. Saturday, October 4th - Irene Bar & Grill, in Irene, South Dakota. 8:00 pm to 12:00 am. No Cover Charge! Drink Specials, Give -A -Ways and More ! Call: Jo at: (605) 263-3453 for more information. 217 S. 5th St. Costume Contest, Prizes, Drink Specials, No Cover Charge! Friday, December 19th- VFW Post 4514 - in Spirit Lake, IA. Call Brenda at: (712) 336-9942 for reservations or more information. This is a Fund Raiser Dance benefiting the families who lost all of their belongings in the Spirit Lake apartment fire on Sunday December 7th, 2014. Wednesday, December 31st - "New Years" Fleggs River Side Roadhouse in Yankton. Call Jerry at: (605) 665-9749 for reservations or more information. We Accept Major Debit and Credit Cards For Your Convenience! Hold Your Special Day with a Deposit. Hold your special day with a $50.00 deposit. Please call and confirm the date is available before making the deposit. Thank You.